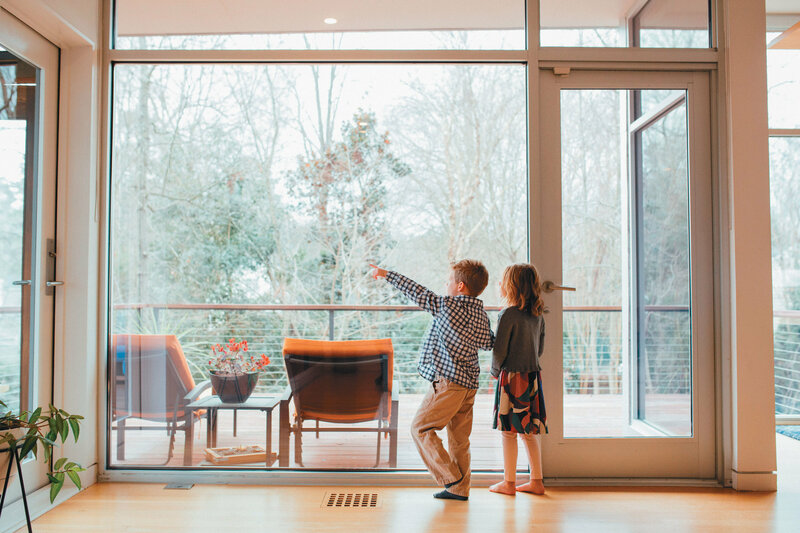 MIDTOWN MAGAZINE: Breathing Space – Tonic Design brought to life one couple’s abstract dreams of a tree house. Windows stretch floor to ceiling in the modern-style dream home of Jonathan and Ilsy Chappell. The home, built in 2011, was designed to fulfill their love of the outdoors. They effectively created a modern oasis, tucked in the middle of traditional homes, in Raleigh’s Budleigh neighborhood. The couple, along with twins Hudson and Sienna, experience nature intimately from morning to night.